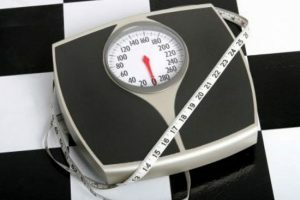 An easy way to lose weight via exercise is to use an elliptical cross trainer or a treadmill. There has been a lot of controversy about which piece of fitness equipment is better, the elliptical cross trainer or the treadmill. Elliptical VS Treadmill is a popular topic among people looking for the most effective fitness equipment to use at home. We compare them in terms of cost, calories burn, joint impact and noise so that you make the decision on which is the best fitness equipment for you. An easy way to exercise efficiently is by using an elliptical cross trainer or a treadmill. There has been a lot of controversy about which piece of fitness equipment is better, the elliptical cross trainer or the treadmill. 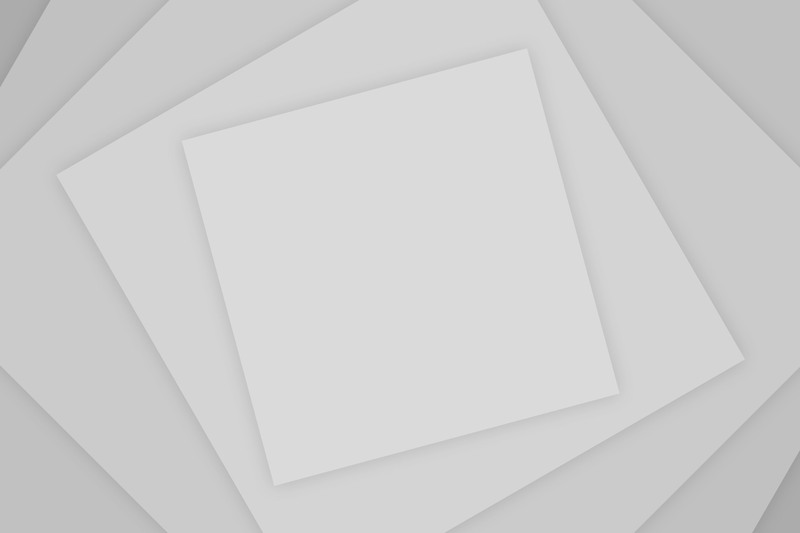 Of course, it is very difficult to say which is better because it depends on personal preference, but if you take the following feature comparisons into consideration it will help you make a final decision. If you are on a tight budget then a cross trainer will generally be cheaper in comparison to a treadmill, this is because the manufacturing costs to build a cross trainer over a treadmill is cheaper. Treadmills have more complex electronics and parts, as a result they cost more to manufacture. However, do not sacrifice money over quality; a low budget cross trainer or treadmill will cost you more in the long run. 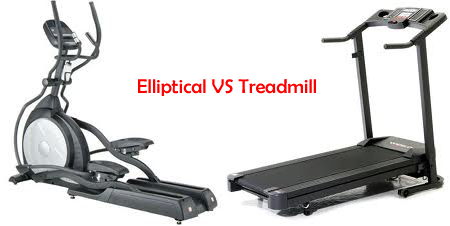 This is probably the most controversial subject between a cross trainer and a treadmill, which one burns the most calories? The answer of course is not that simple because it depends on which type of cross trainer and treadmill you compare, for example lower budget cross trainers usually have a smaller stride length. The shorter the stride length the less your body actually moves therefore the less calories you burn. Secondly, the belt length of the treadmill: smaller belt lengths mean you cannot reach a big stride, which again means you will burn fewer calories. It appears from most test performed the calories burned are about the same, some test seem to favor the cross trainer whilst other tests favor the treadmill. My conclusion is that it is down to personal preference. The joint impact on a cross trainer is much less than the impact created by running on a treadmill, however some treadmill models come with orthopedic belts which actually help cushion the impact. Brands such as Life Fitness also use a cushioning absorption system on their running decks which helps soften the impact. If you suffer from joint injuries or want to burn calories without putting too much pressure on joints then I suggest a cross trainer. The noise created by a treadmill will be louder compared to a cross trainer, the noise comes from the motor and the person running on it. A cross trainer is much quieter because you are not hitting a deck. If noise is an issue then a cross trainer wins hand over fist. To summarize a treadmill will cost more due to higher manufacturing costs, the calories burnt between the machines is almost identical, the joint impact on a treadmill will be greater compared to a cross trainer and finally a cross trainer will be quieter compared to a treadmill. So there are the facts, you should analyze and then make up your own mind as to which one you will be purchasing. I really love using my treadmill. Get a treadmill with a continuous duty motor and a motorized incline. 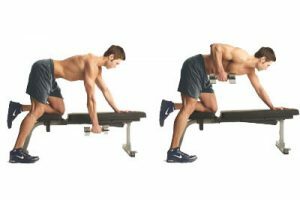 It’s so easy to create additional resistance just by increasing the incline. That way I can get a more intense workout without having to stay on the thing for a longer time. I agree that both machines can provide good aerobic exercise but if you want to engage upper body muscles the cross trainer is better of course. However, if you really want to have it all; a low-impact, full-body, high-cardiovascular, and maximum calorie burn while you’re having fun then you have to take the elliptical cross trainer outside and try the StreetStrider, the first 3-wheeled cross trainer that speeds you down the road, climbs hills, and carves downhills. The best workout on wheels. I agree with your post! These are some great benefits to the elliptical. As a personal trainer I recommend and use one myself to stay in shape. The key is to exercise with enough intensity to elevate your heart rate so that you really burn the fat. As with any exercise, if you use the elliptical trainer to increase the calories you burn and live a healthier lifestyle, the weight loss will take care of itself. The Elliptical Trainer is a great way to get healthier and feel great. Don’t use weight loss as your end goal and you’ll do great. I have rheumatoid arthritis. I was 350lb at 6 feet 5 inch tall. With my mass a treadmill is a killer on my joints. I was never able to do more than walking. Today I am at the gym 6 times per week. In 5 weeks my weights seller to 325lb. I do a 30 minute set an an elliptical at 8/11 resistance continue with some weights and back to the elliptical for 30 more minutes at resistance 5/8. I find the elliptical more tiring and requiring more effort than the treadmill. If I were to do 10 minutes on each, sometimes I hardly break a sweat with the treadmill. So the choice probably is to go with an elliptical trainer because you can increase intensity without having to lengthen the minutes spent on it plus the low-impact nature of it means it will allow you to do more since pain won’t be an issue. Thanks for the informative article. Touch choices the right machine. I am a long time runner and ex crosscountry runner. However I’ve had two back injuries and my knees are shot from skiing, biking, hiking and wake-boarding. I enjoyed treadmills for years and was always my go to when it was raining heavy. However, my physical therapist and doctor have advised me to stop running altogether. I’ve done the elliptical in the past, but never felt that I had the same workout. Never got the runners high. It may have been do to improper use or intensity wasn’t enough. I may buy a good one and give it another try because my lemond bike trainer is getting slightly boring. Let me start by saying congratulations Carsten, for taking life by the throat and going for it. I myself have been a runner, but the elliptical with arm bars at up to 15 to 20, demands an intesity that just melts fat away. The personal trainer Steve said it right, what it really depends on is your heart rate, and the easiest way to make that sky rocket is by moving multiple muscles at the same time. You use your triceps, biceps, forearms, shoulders, chest, and upper back with the arm bars alone! Add that to running and you lose weight really fast. Elliptical equipment DOES work both upper and lower body simultaneously, the heart rate is quickly elevated, allowing for a great cardiovascular workout. Through consistent training on an elliptical, the heart muscle is strengthened. Thereby, the risk of heart attack, heart disease, or stroke is highly reduced.